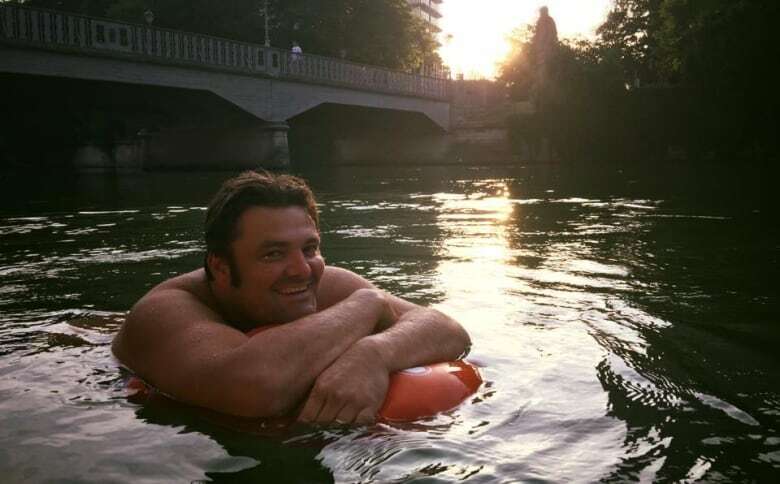 Benjamin David was sick of the daily grind of commuting to work in Munich, so he started swimming to his job instead. "Here along the river on the local highway, traffic has become so congested, but also very aggressive," he told As It Happens guest host Piya Chattopadhyay. "I'm not a monk. When I was on my bike, I would yell at cars. When I was on foot, I would yell at cyclists, and so on and so forth. And just a few metres to the side of that is the river, and if you just swim down that, it's completely relaxed and refreshing." 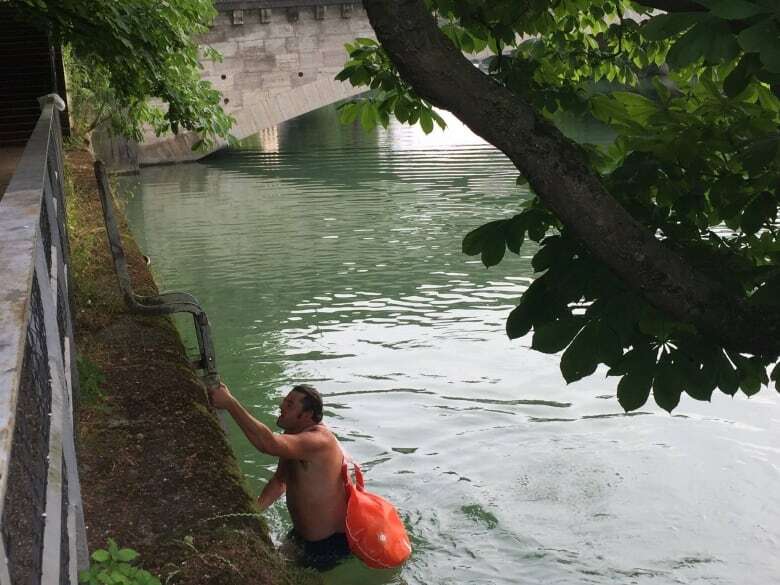 David takes the Isar River the two kilometres to work every day, packing his laptop, smartphone and work clothes into a red, waterproof floating sack that he slings over his shoulder. 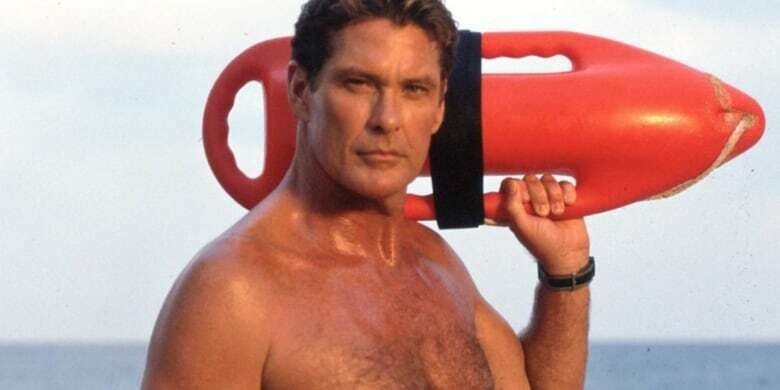 "I look a little bit like David Hasselhoff," he said, laughing. "NotIlook like David, but me with my — I think you get me." In the summer, he'll sport his trunks, and in the winter, he switches between short and long wetsuits to protect himself against the cold. 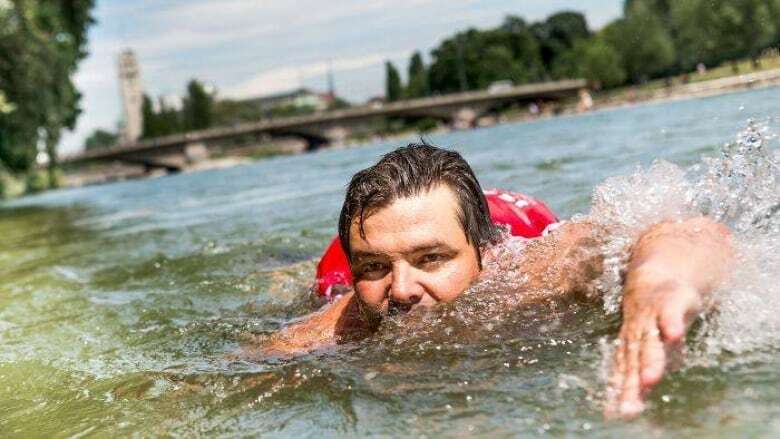 The trip takes between 15 to 25 minutes, depending on the current — and whether he swims or just floats. "That's actually the most beautiful way to do it. I have a little floating device with me and I just put that under my arms and drift," he said. 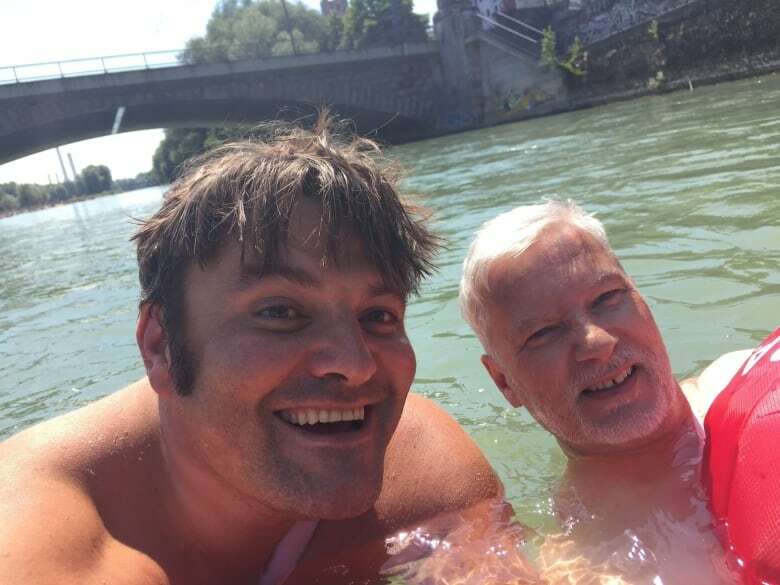 Over the last few years, the Isar River has been the target of a water management plan and restoration plan, so it's a lot cleaner than you might expect, David said. "You kind of really are in a natural, almost wild river in a very urban context, so there's lots of green and pebbles and what not, kind of pebbly beaches, and that's where I start," he said. 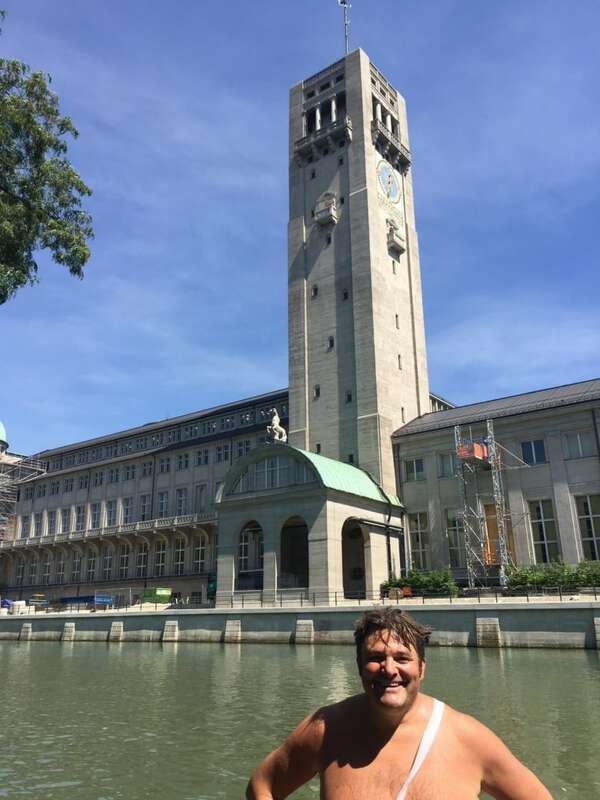 In fact, it's so enjoyable that other people in Munich have started following suit. David said that on any given day, there could be as many as a dozen swimmers in the river alongside him. But he's not worried about them crowding his commute. "I can assure you that it's going to take about 100 years before the river gets congested," he said. The only downside is that he can't swim against the current, so he has to find other means home at the end of the day. Still, the morning swim has helped relieve his stress levels. "Most of the things you think about that are stressful can actually be quite relaxing if you just kind of take a step aside," he said. "And I don't even have to take a shower in the morning, so I have 10 to 20 minutes more time with the kids."